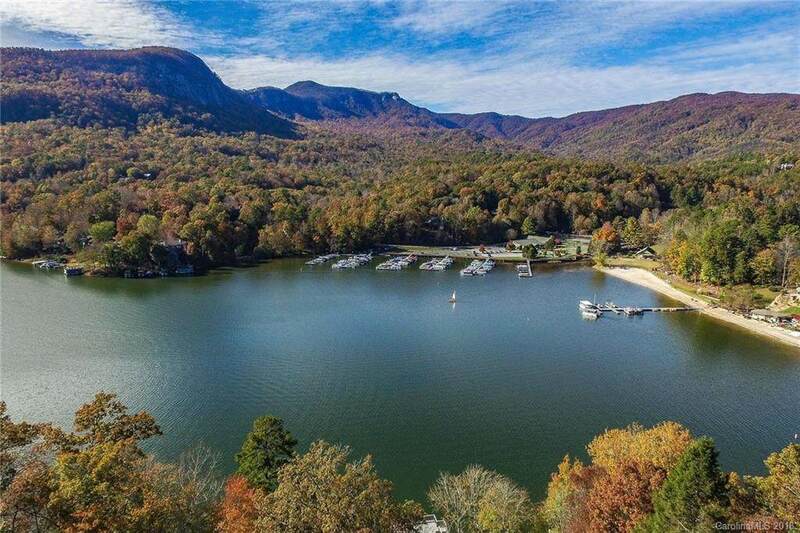 161 Waterside Drive #17, Lake Lure, NC 28746 (#3418533) :: Caulder Realty and Land Co.
Perched above the north end of Lake Lure and overlooking Rumbling Bald Resort, this contemporary masterpiece offers breathtaking lake and mountain views from nearly every room. 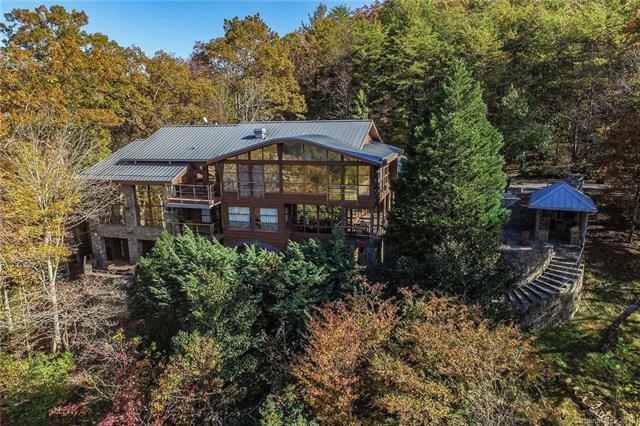 Positioned on over 7 acres including waterfront with covered boat slip, deck and dock. 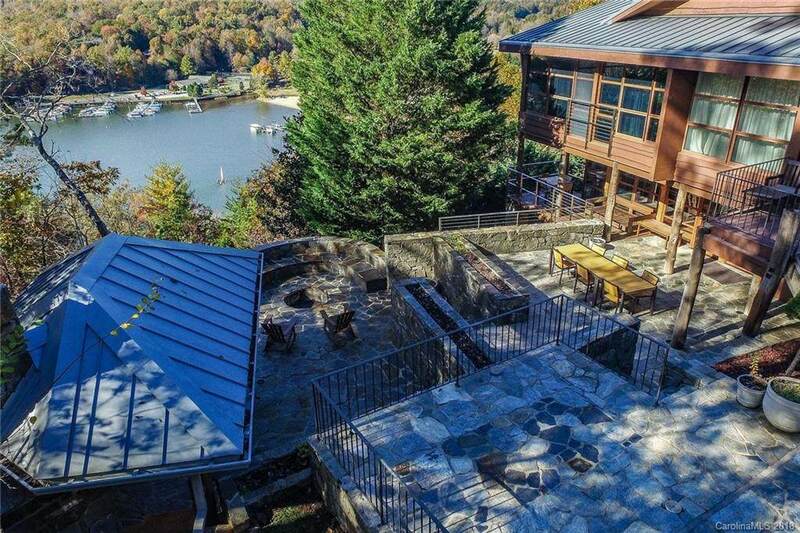 Outdoor stone patios with covered cook-center including gas grill, gaucho wood burning grill, sink, concrete countertops and hot tub. Each bedroom has a private en-suite full bath and offers access to the outdoors. The gourmet chefs kitchen has two Sub-Zero refrigerator/freezers, a professional Viking 6-burner plus grill cooktop with stainless hood. Quartz countertops, center island with prep sink, lots of pantry space and half bath. The large dining room just off the kitchen offers glass windows and doors on two sides allowing for stunning views and ease of access to the outdoor patio and kitchen. 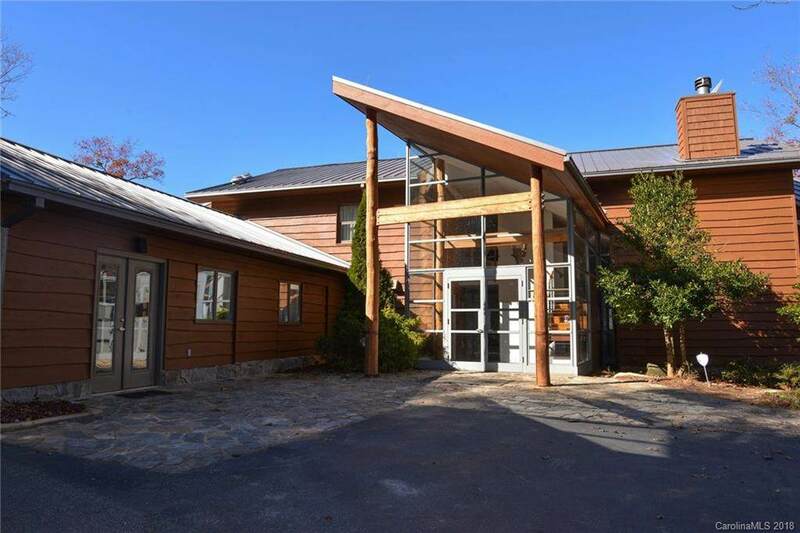 The sweeping great room with vaulted ceilings, wall of glass windows & large fireplace provide a lovely gathering area.